"After having been involved in many Krautrock bands, Peter Frohmader started publishing his own soloworks under the name of Nekropolis. A multi instrumentalist as well as a painter and designer, Peter Frohmader is without any doubt one of the most innovative artists to have emerged on the Munich scene. 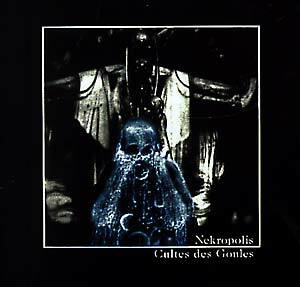 One of his best works, Le Culte Des Goules is a strange mixing of classical music, rock, and electronic. Dark and powerful." Recorded in 1981 and originally issued on the Nekropolis label. Frohmader is credited on: synthesizers, rhythm composer, fretless bass, 8-string bass, 12-string guitar, percussion, choirs, electronics, sounds.